Summer vacation goes by quickly, and can get out of control fast, so do yourself a favor and make a schedule. Mark your calendar for your weekly family game nights, make it a special time to have dinner together, enjoy the weather and connect with each other. 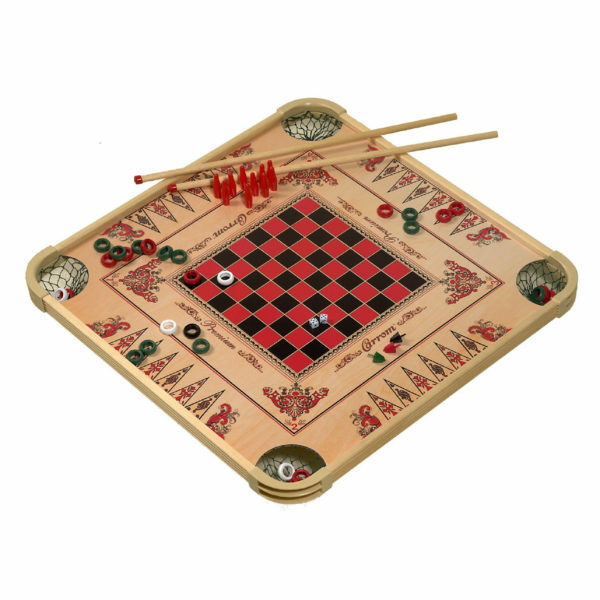 Bring your Carrom® Game Board, Balance Board or Hi-Bol – Traveling Bowling Game to the park during your family cookout, or play during your day spent at the beach. Some of the best childhood memories are built on the time spent around a game, with the people you love most. Played on the checker side of the board. Equipment: 3 green rings, 3 red rings, 1 white shooting Ring. Object of the Game: To pocket three rings placed on the backgammon (triangle) spots, the player being required to call the ring they expect to pocket and to continue to shoot at no other ring until the called ring is pocketed. The Game: Each player places three rings of a color on alternating tips of the backgammon (triangle) spots on the side opposite from where they are playing. One Shooting ring is used and the first player shoots from any point on their base line at one ring which they select to pocket. A player must continue play on the selected ring before they can play another ring. They’ll continue to shoot from their base line until they pocket the selected ring or if they miss. A missed shot permits the opposing player to shoot at one of their colored rings which they select to pocket. The player who first pockets their three rings is the winner. 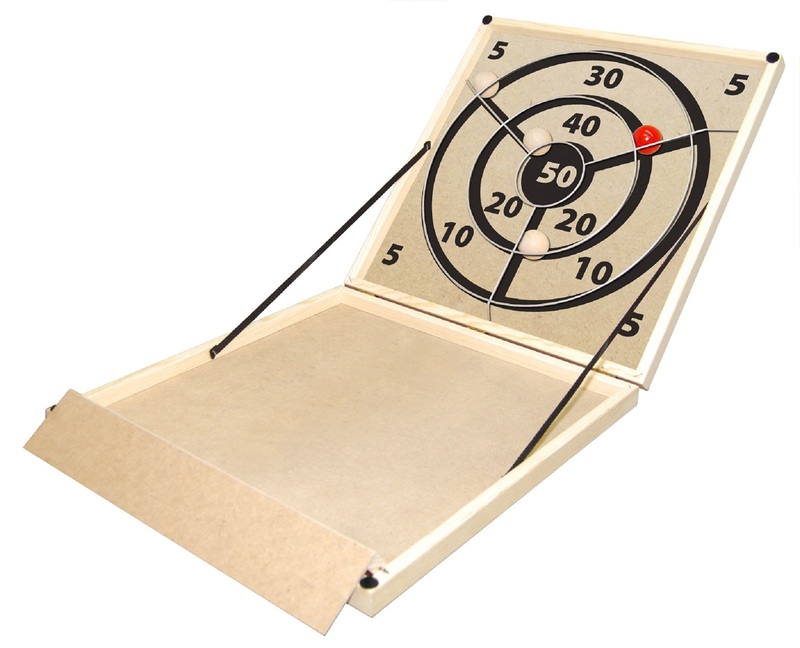 If the Shooting Ring is pocketed the player loses his turn. 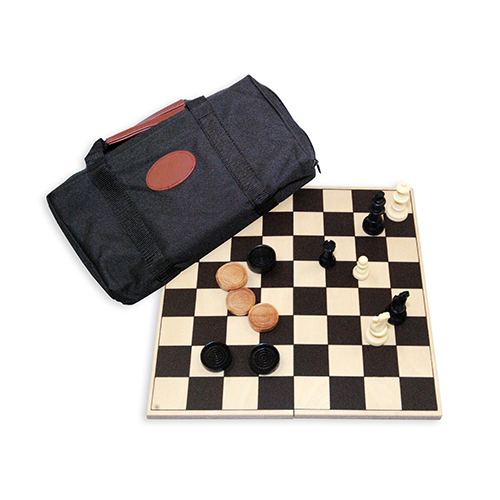 If a ring other than the selected ring is pocketed, it is placed on a backgammon spot. Rings moved from their spots during play remain where they lie. Equipment: 3 red rings, 3 green rings. Object of the Game: To shoot your ring as close to the edge of the pocket as possible without pocketing it. The Game: Each player starts off with three rings of a color. The first player shoots from the No. 1 spot diagonally toward the No. 3 pocket attempting to land their ring as close as possible to the edge of the pocket. The next player shoots from the No. 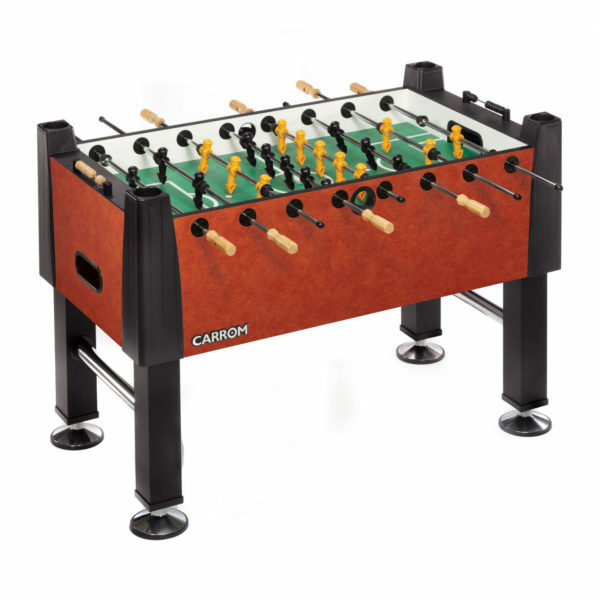 1 spot in the same manner, and can drive their opponent’s ring out of play into the pocket, or try to get close to the pocket’s edge. When all three rings are played, the ring closest to the edge of the pocket scores 3, next closest 2, and third closest 1. If any ring is hanging over the rim of the pocket, it scores double. Score: A score of 20 wins the game. 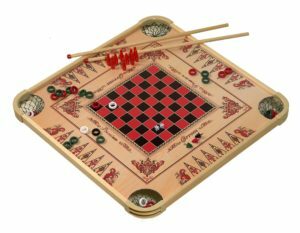 When you’re not playing your beautifully crafted Carrom® Game Board, it can add as a great wall decoration and a constant reminder of family fun on your wall. 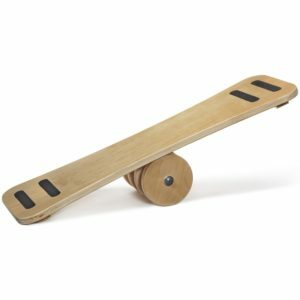 The Balance Boards are fun for all ages – making fitness fun. Balance boards are great for working on your balance for skateboarding or skiing adventures, or even yoga posture. It’s easy to make this a competitive activity with your family, all while working on your balance and muscle tone. Finding new ways to workout as a family keeps things interesting and exciting, especially when you master something new. 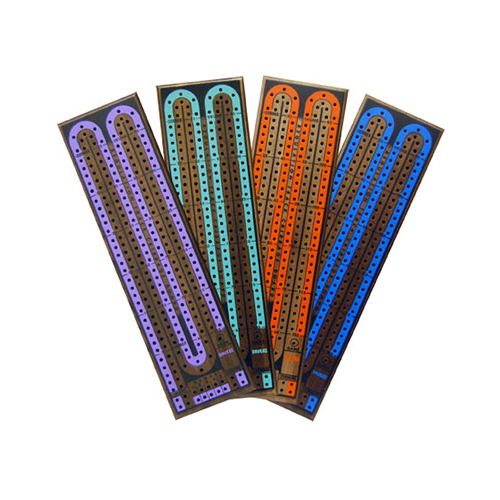 The balance boards come in four great surface designs; natural wood-grain, black and red, blue and black, and an electric green and black design. All of the balance boards are made from high-quality plywood with anti-skid strips for better control. 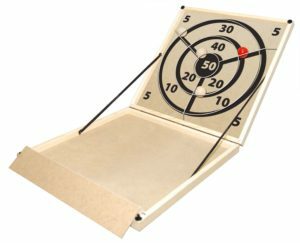 The Hi-Bol – Traveling Bowling Game folds up and closes securely so you can play anytime, and anywhere you want. If you have a love for skee-ball, you’ll surely love this game. 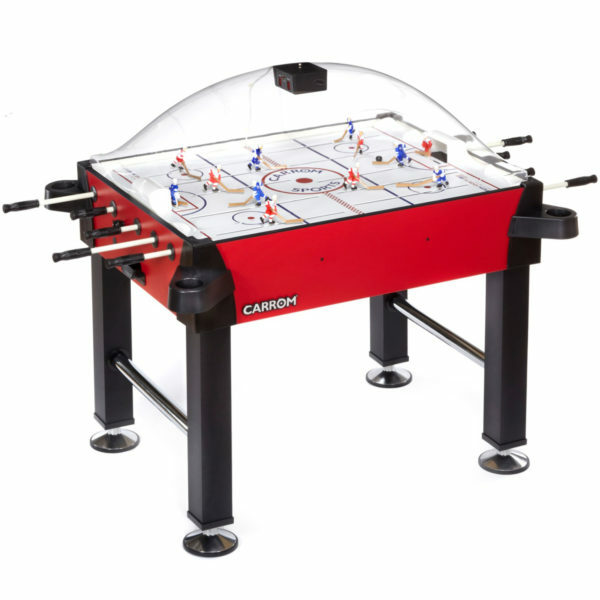 Buy two, and create a fun family tournament playing at new locations each week.